The New Hampshire Music Educators Fall Conference or “October Music Fest” is the first of two major music education conferences held annually in New Hampshire. This is a full-day conference attended by more than 300 music educators from New Hampshire. In addition to music technology, there are clinics presented relevant to other disciplines such as band and choir techniques, classroom guitar methods and general music. Carl Benevides presented a 90-minute clinic entitled “Fun with Technology.” The session explained how technology can be integrated in ensemble rehearsals to augment teaching. In addition to exploring uses for Apple’s Garageband and iPad, one of the main focuses was on the use of the PreSonus StudioLive 16.0.2. 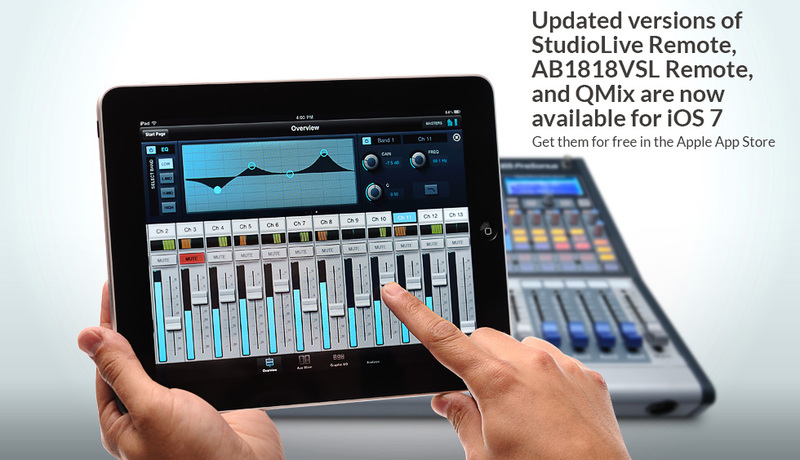 Topics included the use of Capture as an easy solution for recording ensemble rehearsals and concerts and the use of QMix software to remotely control the StudioLive—citing the benefit of conducting from stage and being able to control overall levels while on stage using Qmix on an iPad. The video has been edited to show the relevant portions discussing the PreSonus StudioLive 16.0.2 hardware and software, Capture and QMix. Check out video of Carl’s presentation below!